The purpose of hair oil is to maintain hair strength, stimulate hair growth and reduce hair loss. As most of the hair regrowth oil is non sticky, massaging comes a long way. Oils like argan, castor, avocado, olive, mustard and coconut is being used since the days of ayurveda. These oils penetrate into the scalp and strengthen the roots by preventing damage. It is one of the most popular brands of hair oil in India. It is enriched with the goodness of thistles, indian gooseberry, neem and bael to prevent scalp infections and maintain hair healthy. It prevents hair fall and stimulates hair growth. The Bhringaraja and Amlaki content act as hair growth stimulator and Methi rich in lecithin and proteins nourishes hair roots. However, the old does not condition hair, get a bit itchy after wash and end up looking frizzy. 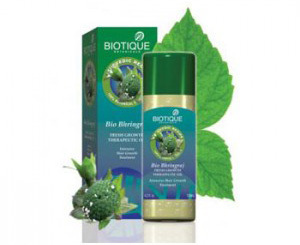 Biotique Bio Bhringraj Oil is another excellent hair nourishing oil with the benefits of bhringraj, butea frondosa, amla and centella blended with coconut oil and goat milk. It is the perfect solution to treat alopecia (baldness) and other hair loss related problems. This therapeutic product prevents your hair from premature aging. Your hair feels smooth and soft with a little shine and pleasant smell. It is reasonably priced. 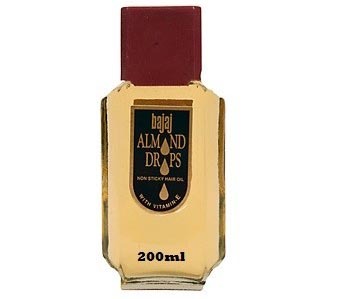 Bajaj Almond Drops acts as an excellent moisturizer for your hair. It nourishes and softens the scalp and makes hair roots strong and healthy. It has the goodness of real Almond extracts which keep your skin healthy and youthful. The oil is a good alternative to coconut oil and is priced quite well. The only drawback about this oil is its smell which is very strong and does not resemble almonds at all. 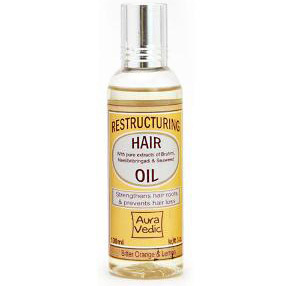 Auravedic Restructuring Hair Oil is another most popular hair oil product in India. 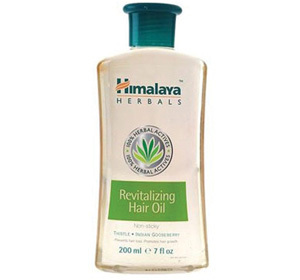 It contains the purest extracts of Brahmi and Neelibringadi that strengthen hair roots and prevent hair fall. The seaweed content on the other hand restores and renews moisture balance and add luster to hair. Strengthens hair roots and prevent hair loss is a good alternative to coconut oil. Your hair feels smooth and soft with a little shine and pleasant smell. 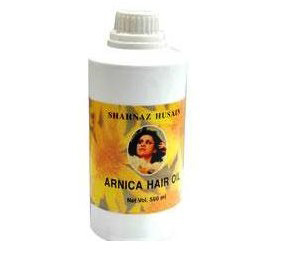 Shahnaz Husains Arnica Hair Oil is known for its active ingredients like Amla, Sandalwood, Bhringraj, Brahmi and arnica. It rejuvenates and revitalizes the scalp and prevents premature graying and dryness. It keeps your hair healthy and lustrous and improves texture. The active ingredients prevent the occurrence of dandruff. It improves the texture of your hair, leaving it soft, supple with a little shine and pleasant aura. 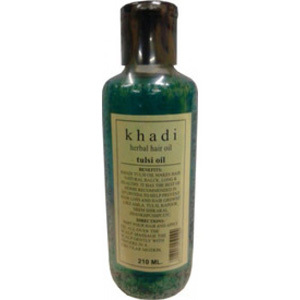 Khadi Tulsi Hair Growth Oil is known for its detoxifying and stimulating properties. This best hair growth oil eliminates infection and treats scalp conditions like dandruff, psoriasis and so on. It acts as a natural anti-bacterial and anti-oxidant for your hair. It reduces baldness and the purifying properties promote hair growth. The almond oil extracts rich in vitamins, minerals, and essential fatty acids prevent hair from premature aging. 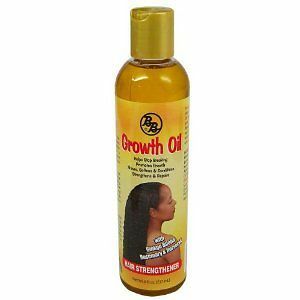 BB Growth Oil prevents breakage, strengthen and revitalize damaged hair. It is enriched with the goodness of natural plant herbs and contains no animal fat or animal oils. It promotes hair growth and softens and conditions the same. It reduces baldness and the purifying properties promote hair growth. The vitamins, minerals, and essential fatty acids prevents hair fall and revitalize damaged hair. 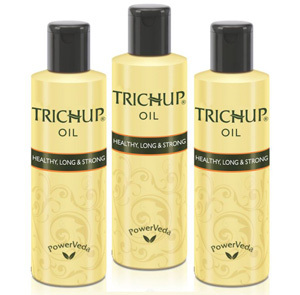 Trichup HLS Oil is one of the best hair care brand in India. It includes the goodness of ancient Ayurvedic hair care secrets with vitalizing herbs and meticulous process. The oil prevents premature graying because of its stimulating hair melanin content. Active ingredients include Bhringraj, Amalaki, Neem, Gunja and similar rejuvenating herbs and are processed in high quality Sesame and Coconut oil. It effectively improves blood circulation to the scalp tissues and hair follicles. Aromatherapy Oil stimulates hair follicles and increases blood circulation. 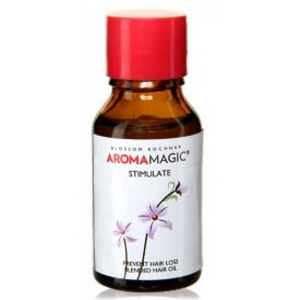 This famous enriching hair oil in India stimulates hair roots, prevent hair loss and promote growth. It further nourishes your hair for the beautiful luster. It is lightweight oil, easy to apply, easily available and is reasonably priced. The package is travel friendly and treats problematic scalp by reducing dandruff. 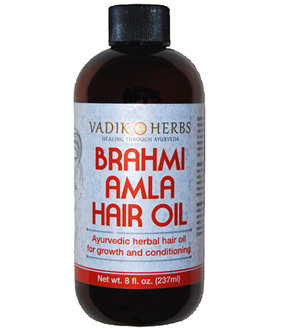 Brahmi Oil is one of the most popular hair growth massage oil in the Indian market. It provides the scalp with proper nutrients and prevents hair loss. It also acts as a very good hair stimulant and a natural preventative against dandruff and flaking and prevents split hair ends. It contains the goodness of pure cocunut oil and a few Ayurvedic herbs. It keeps the hair soft and moisturized. Plus it keeps the brain calm and cool and rejuvenates dull and damaged hair. As summer is one the way, also check the most used Hair Oil for Men during summers. SIDDHA Herbal Hair Oil relives scalp itch, dryness, irritation and helps to remove & prevent dandruff. SIDDHA Herbal Hair Oil invigorates you hair and scalp making your hair thicker and stronger this in turn reduces and completely stops hair loss. with continuous usage white hairs are significantly blackend. Apart from all these benefits, SIDDHA Herbal Hair Oil penetrates the follicle and rejuvenates the dead follicles. This process helps in stimulating new hair growth. This hair oil works so efficiently even after prolonged term of baldness new hair growth is guaranteed. SIDDHA Herbal Hair Oil is made from world renowned SIDDHA MEDICINE by mixing rare herbal ingredients. “SIDDHA Herbal Hair Oil can be used without any restrictions”. Siddha Hair Oil has proven records of hair growth, if used along with Siddha Herbal Shampoo quick results will be seen. my sister had a dandruff problem and hair fall loss ( from the root) she maintaines her hair carefully but it not works. how can i solve the problem and tell me which product to use? We are manufacturer, supplier & exporter of Organic Hair Oil – which is made from selective oils, herbs, leaves & plants extracts. No chemical / fragrance / colour is added to this Oil. It’s Pure & Natural Oil. The oil helps in preventing hair loss, pre mature balding & dandruff. 70% customer is repetitive and is quite happy with the Organic Hair Oil.